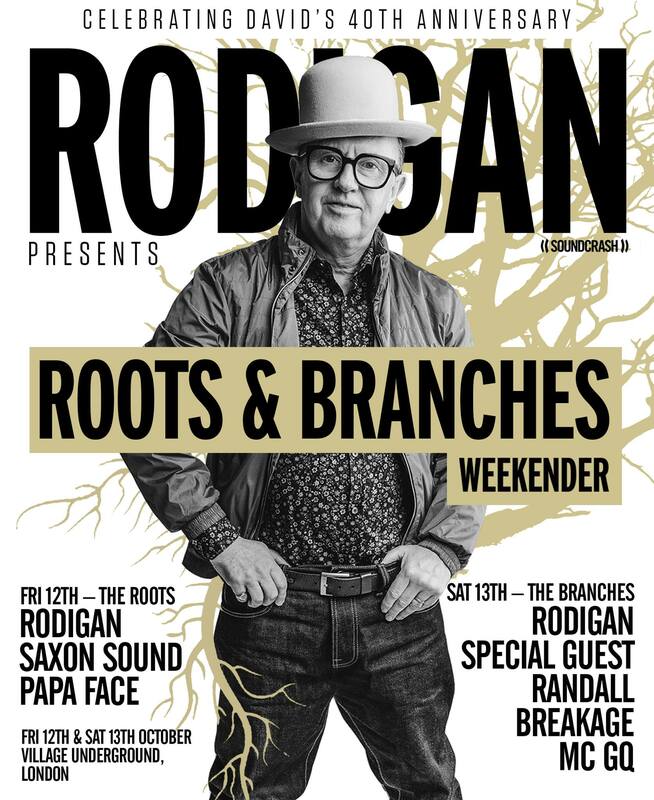 This year I’ve been celebrating my 40th Anniversary in the business and to round it off I’m launching my new club night ‘ROOTS & BRANCHES’ with a full weekender at London’s Village Underground. On the Friday myself and the legendary Saxon Sound System will be in full session, all night long, to represent The Roots! On Saturday I’ll be joined by, RANDALL, BREAKAGE & MC GQ to represent The Branches! Run come join us for a special weekender of strictly foundation music from the roots up.